Sunbrella fabric window awnings without side wings in a variety of colors, sizes, projections and patterns featuring the top of the lone Sunbrella awning canvas. These window awnings can be custom made from as small as two feet wide and as large as ten feet wide in one inch increments. 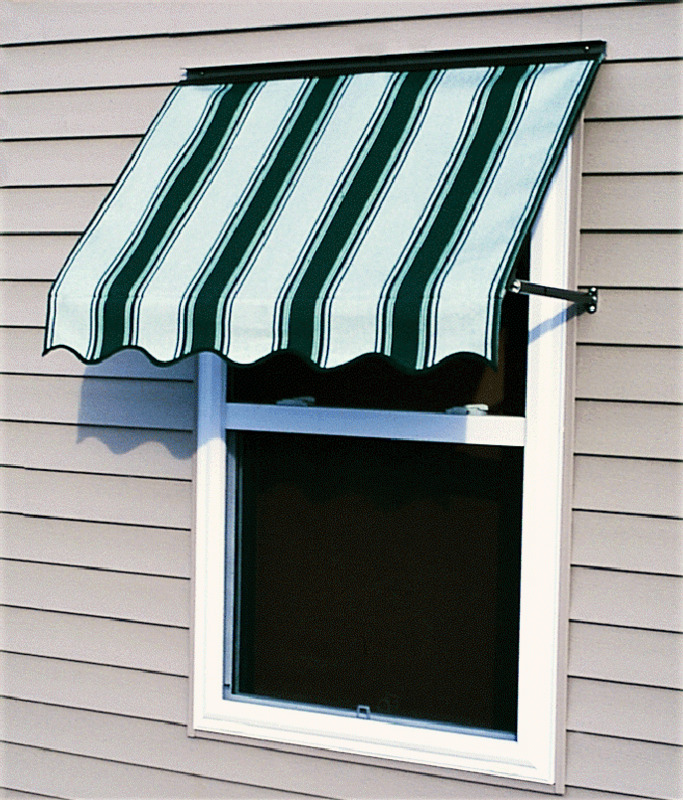 Typical time to manufacture these beautiful window awnings is approximately two weeks from the date of order placement. The fabric and no rust bronze framework both carry a five year warranty and are designed for good looks and long life. 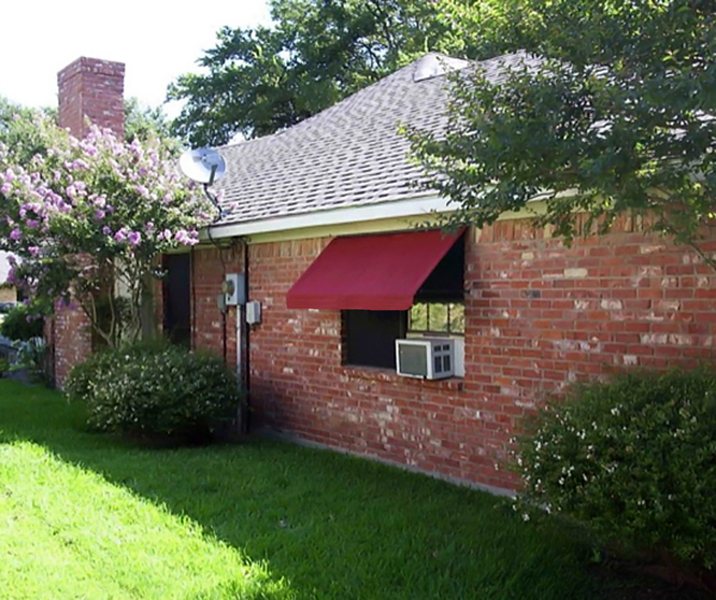 These window awnings are designed to match with the Sunbrella fabric door canopies and can be color coordinated throughout the entire house. By adding windows awnings you will reduce your homes cooling bills, bring added value to your home and dramatically increase your homes curb appeal. Size References: Please note that for maximum shading you would want to have the window projection approximately half the height of the window. A selection of color and patterns can be found at the Sunbrella Fabric Showroom located by clicking on the Sunbrella logo at the bottom of this listing. Be sure to write down your desired Sunbrella Fabric Color and the Sunbrella Fabric Number and make that choice under either Item 4A or Item 4B in the selection area of this listing.